Get an instant quote now and take the first step to protect your furry best friend. Is Pet Insurance Worth It? You Just Enrolled, What's Next? Pet Care. Pet Training. Pet Stories. Healthy Paws keeps you smiling with the latest, greatest, and goofiest cats and dogs. Refer a Friend & We'll Donate $25 Refer a Friend Now! Healthy Paws Pet Insurance covers up to 90% of vet bills for your dog or cat don't miss out! Plan coverage varies based on the age of the pet at enrollment and the deductible and reimbursement levels chosen at enrollment. Exclusions and restrictions apply. All descriptions or highlights of the insurance being provided are for general information purposes only, do not address state-specific notice or other requirements and do not amend, alter or modify the actual terms or conditions of an insurance policy. Please refer to the terms and conditions of the policy, which set forth the scope of insurance being provided and address relevant state requirements. Policies are underwritten and issued by ACE American Insurance Company, Indemnity Insurance Company of North America, ACE Property & Casualty Insurance Company, Atlantic Employers Insurance Company, Westchester Fire Insurance Company, members of the Chubb Group. 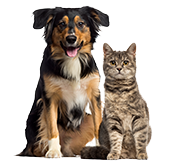 Healthy Paws Pet Insurance & Foundation is the brand name for the program operations of Healthy Paws Pet Insurance LLC. Healthy Paws Pet Insurance, LLC is a licensed producer in all states (TX license # 1636108); operating in California as Healthy Paws Pet Insurance Services, LLC (CA license # 0H16053), and in New York, Healthy Paws Pet Insurance Agency, LLC. © 2019 Healthy Paws Pet Insurance, LLC. All Rights Reserved.